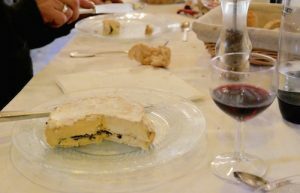 This 6 night, 7 day Truffle & Wine tour in Provence is an opportunity to see the culinary world of Provence, taste the delights of truffles at the best time of the year, discover new wines while meeting the wine growers and enjoy the cultural heritage of Provence during the less touristy season. You will leave the tour feeling like you experienced Provence like a local. A rare treat that will forever be a part of your heart. Imagine you are discovering the countryside in winter fashion; your favorite winter hat and newfound scarf. 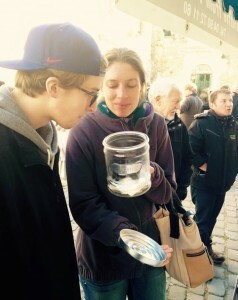 You are warming your hands up with a coffee or roasted chestnuts at the market. The temperature will be about 10° and the sun, even in winter, never stays away for long. While I cannot guarantee perfect winter weather I can say it’s a lot better in Provence than in Paris. 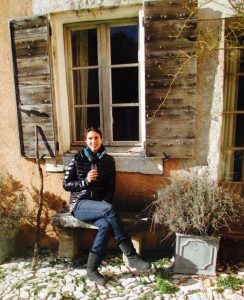 Should it be that one weekend a year when it snows in Provence, well, what a perfect ambiance to make it feel like Christmas again (do bring your boots for the Luberon truffle day). Before the 3 nights in the countryside around Vaison-la-Romaine, you’ll greatly enjoy your first night at the luxury hotel La Mirande in Avignon. Your last two nights will be in Aix-en-Provence at the luxury boutique hotel, La Maison d’Aix. 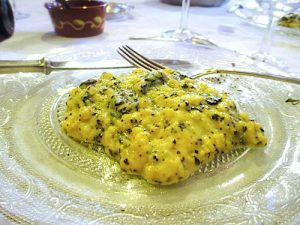 All transportation while in Provence (pick-up at Avignon TGV train station on Tuesday, January 15th, 2 pm/ drop-off at Aix TGV train station on Monday, January 21st, 11 am). Leisurely breakfast at La Mirande and then tour of the Avignon Gourmet indoor market known as Les Halles. remote part of the Luberon to meet Nicolas, our local professional truffle farmer. 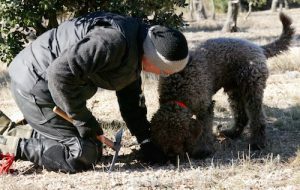 The “hands on” hunt is preceded by a light talk (in English) from the truffle hunter on the history of truffle farming in the area, the technique for hunting and importantly what to look for in a top grade truffle and how best to prepare them. Aperitif in the sunny courtyard and lunch ( superb truffled eggs/salad/dessert) prepared by the Truffle farmer and at their charming Mas (Provencal farm house). Afternoon visit to a couple of small, authentic Luberon villages before going to Chateau Canorgue for our Luberon wine tasting (Chateau Canorgue was used as the setting for Ridely Scott’s “A Good Year” movie. Evening truffle-themed dinner at Fleur Bleu, Crestet – the restaurant atmosphere with fireplace and wood tables is especially quaint. Today is focused on the great wines of the region. 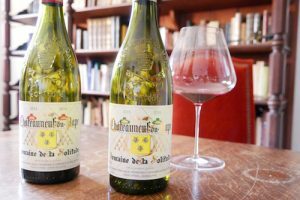 We will visit three different Southern Rhone Cru wineries. 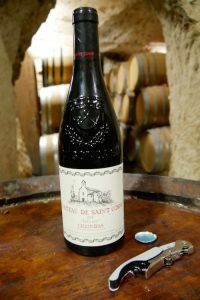 On to Clos du Caveau at Vacqueyras where our visit is hosted by owner/winemaker Henri Bungener, a personal friend, who after showing us around the winery will serve a 5-course lunch for us! 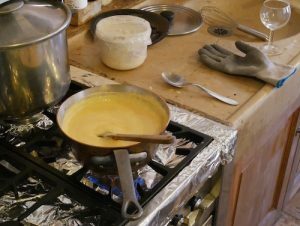 Henri is a noted amateur chef as well as a first-rate winemaker – a great opportunity for guests to chat informally with a noted winemaker over a meal. 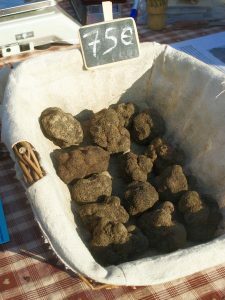 Morning visit to world famous Richerenches truffle market in the unique territory known as the “Enclave des Papes” in the Vaucluse – an opportunity for guests to select (with their new found knowledge!) quality truffles and purchase to take home. 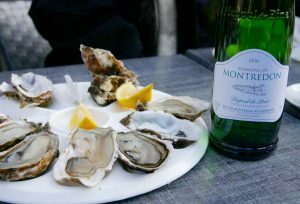 11 am – sit down at the local café with the oyster vendor next Around 1 pm we’ll make our drive south to Aix-en-Provence for 3 pm check-in to your boutique hotel located in a superb 18th-century neighborhood just blocks from the famous Cours Mirabeau. A leisurely morning and then a 40-minute drive to Cassis for a Bouillabaisse lunch on the harbor and a guided village tour. Return to Aix around 5 pm for free time to relax at B&B and prepare your bags for departure in the morning. Dinner at your leisure in Aix. Transfer to Aix TGV train station at 11 am (or at the time needed for your train departure in the morning).